Zippered main compartment. Front zippered pocket with earbud port. Side mesh pocket. Reflective zipper pulls. Padded back panel. 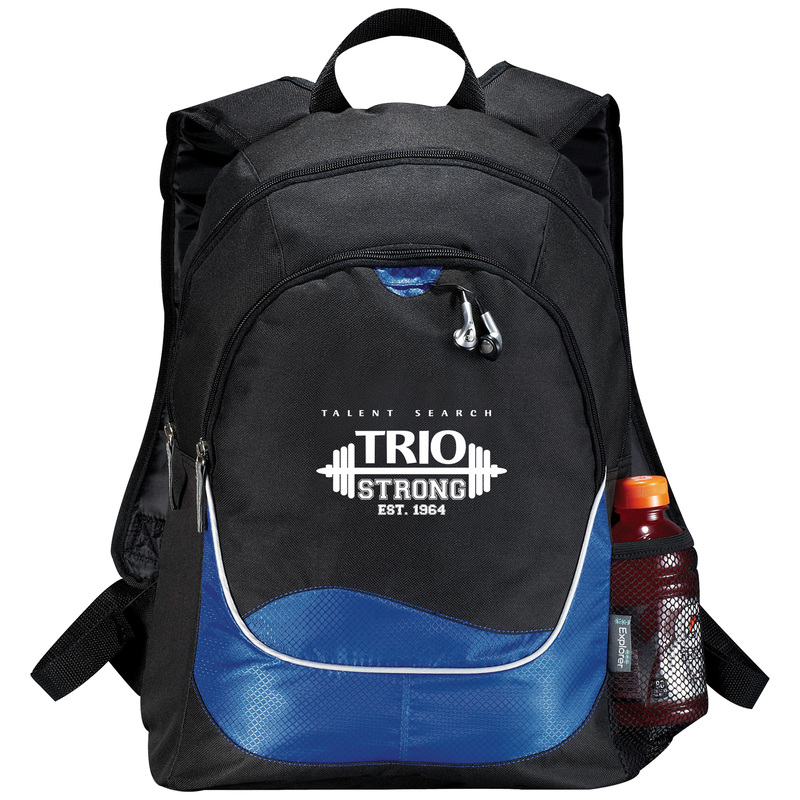 Adjustable, padded backpack straps. Carry handle.